Classic GP Stories, along with poems, quotes, and songs! 17 tracks in all! That’s right . . . for the first time ever, you can listen to GreenPrints! 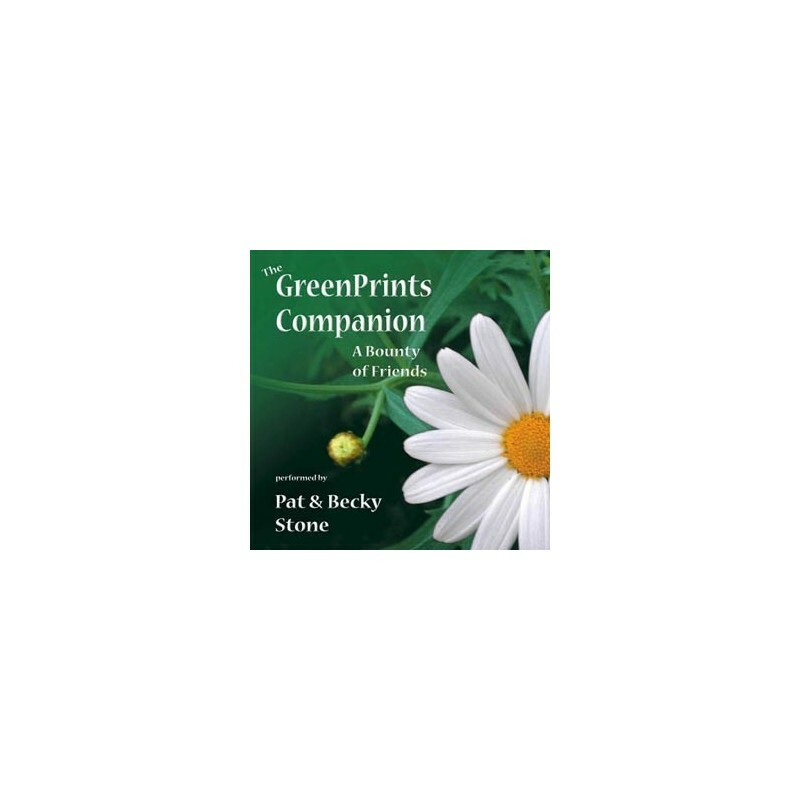 The GreenPrints A Bounty of FriendsCompanion (Vol. 1, “A Bounty of Friends”) is a one-hour-long, 17-track(!) visit from GP creators Pat and Becky Stone, sharing some of the greatest-ever stories from the magazine. You’ll learn a little about our first day ever at “The Weeder’s Digest” . . . hear Martine Caselli’s hysterical tale of trying to control her spending at the garden center . . . cherish the moving story of a condo-trapped mother whose daughter ships her “A Box of Spring” . . . catch Jeff Taylor’s outrageous attempt to convince two college kids that snails and zucchinis are related . . . . . . and much, much more, including poems, quotes—there’s even 4 songs! 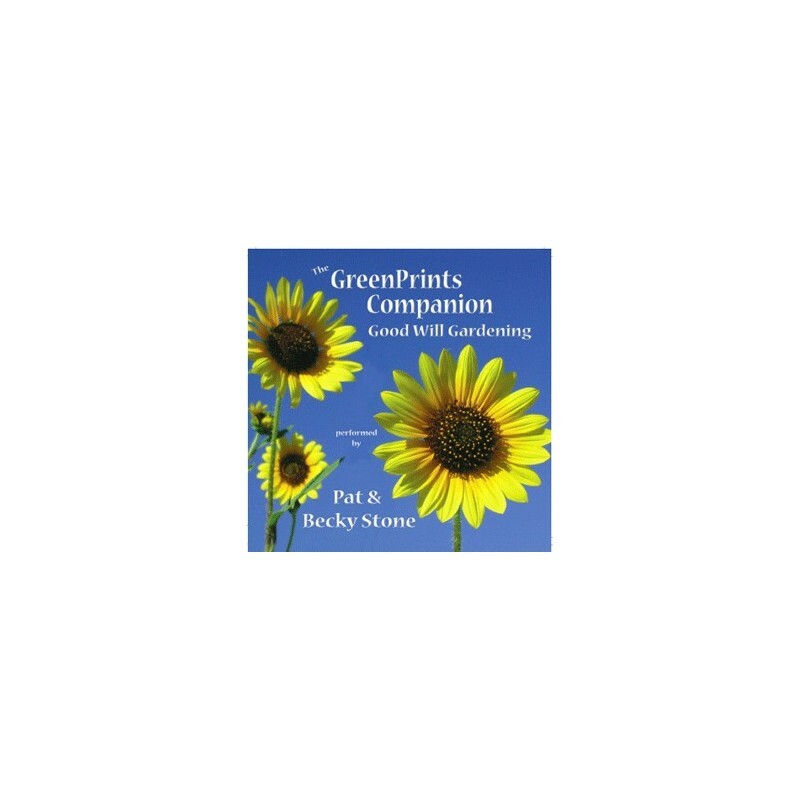 Priced at a very affordable $10 each, The GreenPrints Companion will be like inviting us into your home—and make a wonderful, heartwarming gift for relatives and friends, as well! Order your copies today!